High Garden started to be developed in 2005 and although still in its early stages has all the makings of a lovely garden. High Garden is set in around 5 acres many different shaped borders have been developed to show off the plants which are available in the adjoining nursery. 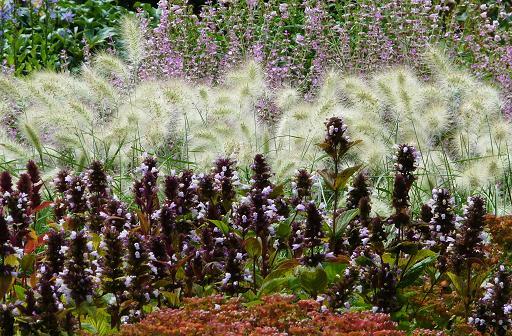 In many ways it is like a display garden and just great for plant lovers. 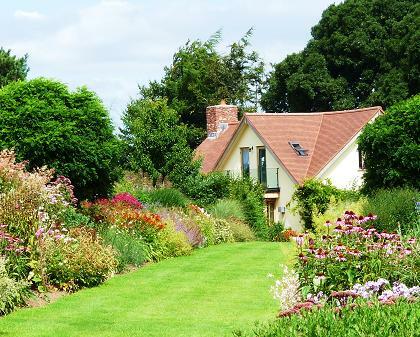 The setting of the garden is delightful with views over the local church to the hills beyond. The centre-piece of the garden however are the deep double herbaceous borders possibly 70 metres long bordered by a young yew hedge which will eventually give shelter and shape. The nursery has many different plants for sale at fantastic prices and owner Chris Britton will be pleased to give advice. 2019 - High Garden - Garden open most of year during normal business hours. Self service tearoom. Reasonable disabled access. All takings to charity.